One of the truly amazing things about creating custom jewelry is that on occasion I am invited to design and craft family heirlooms that are significant to a family and their evolving history. Currently I am creating a pendant for a young couple to celebrate the birth of their first child. 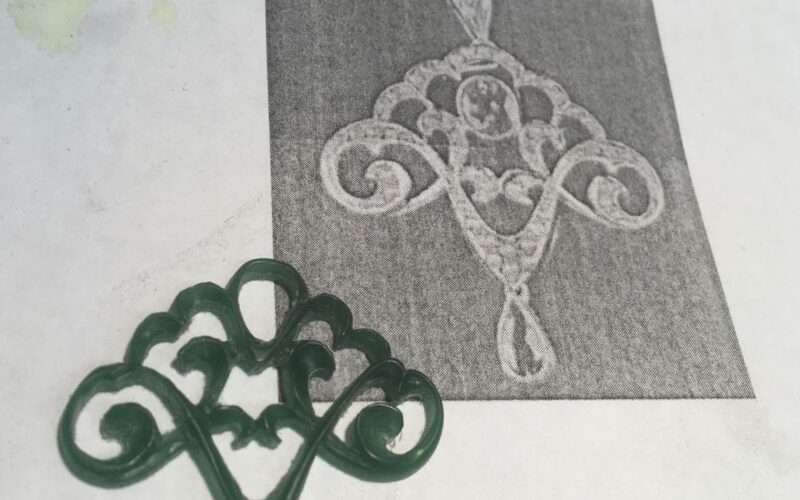 The pendant will be cast in rose gold and references a vintage Victorian pendant that will include the child’s birthstone. I love knowing that many of the wedding rings and other jewelry that I create will be handed down to future generations.